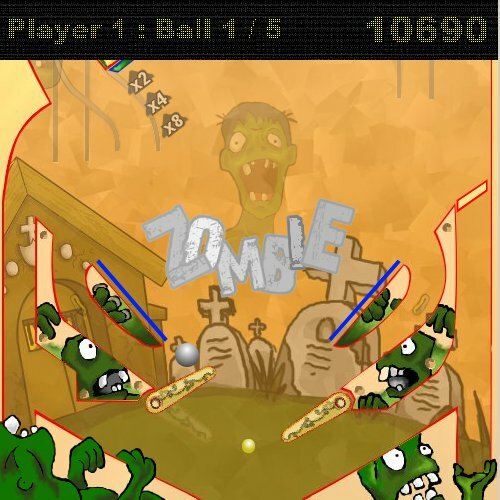 Description Come smack the Zombie in this Zombie themed pinball game! Get all 'ZOMBIE' to activate the green guy. Hyperball and various bells and whistles. Let the pinball begin! Controls ( LEFT / Z / Q / A ) for left paddle, ( RIGHT / '/' / O / L ) for right paddle.DOWN to pull plunger. ENTER to start!